LAKE ZURICH, Ill. — Subaru Industrial Power Products has promoted Steve Hartung to director of strategic sourcing. Hartung has 18 years of experience in engine manufacturing and sales, and most recently has been responsible for Subaru’s Minneapolis-St. Paul sales territory as a regional sales manager. In his new position, Hartung’s primary focus is on strategic sourcing of American-made parts to be used inSubaru V-Twin engines assembled at the Fuji manufacturing plant in Tokyo. In addition to new responsibilities, Hartung continues to act as the regional sales manager for the greater Minneapolis area. 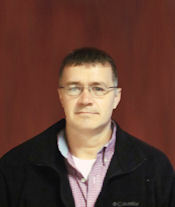 Hartung has been with Subaru Industrial Power Products for two years. For 16 years prior to that, Hartung was the director of manufacturing for Robin America. He managed the manufacturing process for the Wisconsin Robin line of engines, focusing on the V-Twin line of engines for Polaris and Billy Goat.